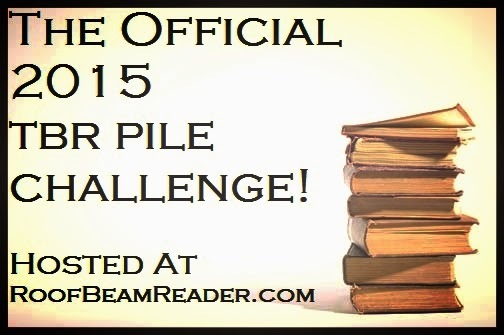 I am pleased to announce that Roof Beam Reader’s official TBR Pile Challenge is back for the SIXTH YEAR! This challenge started after I realized I had some MAJOR issues with buying books but never reading them (not because I don’t read – but because I have such a book buying problem!). Year after year, books would sit on my shelf, untouched, and I would end up reading newer ones first. I realized I was missing out on a lot of great books because I let them sit there gathering dust instead of reading them as I bought them. 4. Leave comments on this post as you go along, to update us on your status. Come back here if/when you complete this challenge and leave a comment indicating that youCONQUERED YOUR 2015 TBR LIST! Every person who successfully reads his/her 12 books and/or alternates (and who provides a working link to their list, which has links to the review locations) will be entered to win a $50 gift card from Amazon.com or The Book Depository! *Note – You can read the books on your list in any order; they do not need to be read in the order you have them listed. As you complete a book – review it, and go back to your original list and turn that title into a link to the review - that will keep the comments section here from getting ridiculously cluttered. For an example of what I mean, Click Here. Your list is awesome! I just read Thirteen Reasons Why this year and adored it. Water For Elephants, Gone Girl, and The Kite Runner are all favorites of mine. Good luck and have fun!